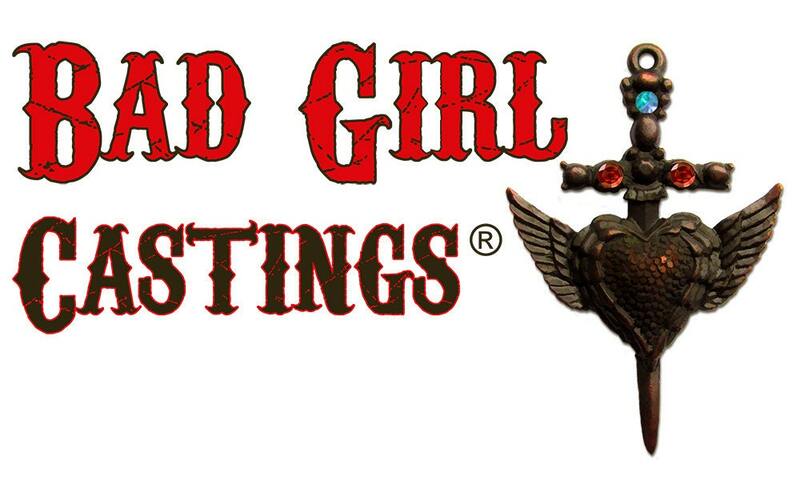 This breathtaking black pewter cross from Bad Girl Castings® features a swirl design. The front of this casting has a raised design, while the back is pitted flat and filled, not hollow. 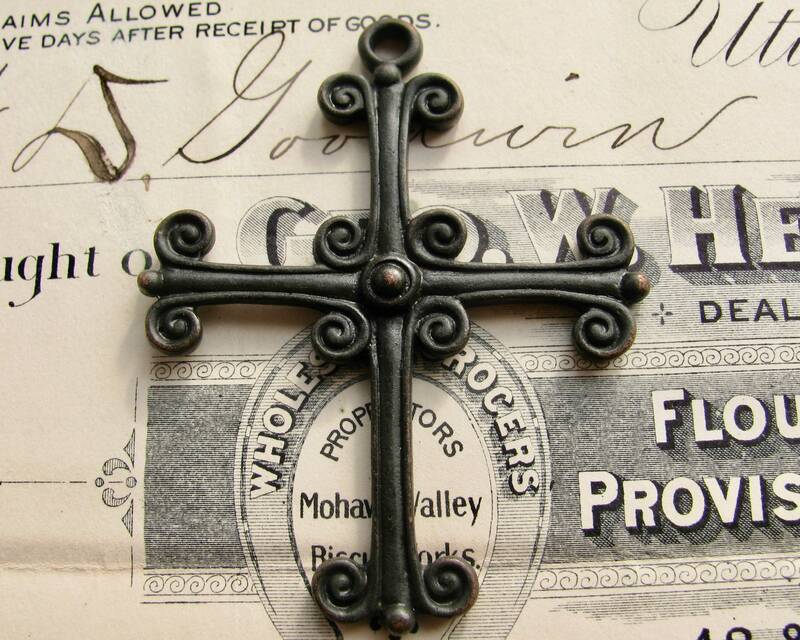 This cross has a nice weight to it and is suitable as a focal piece on a medium to heavy chain or rosary. The 55mm measurement includes the loop at the top of this showpiece ornament. 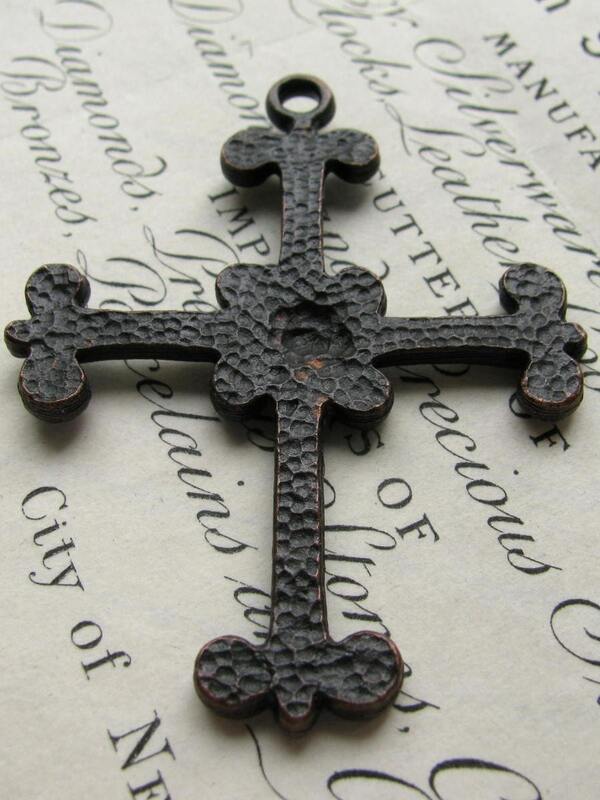 Very nice Large rustic cross pendant. 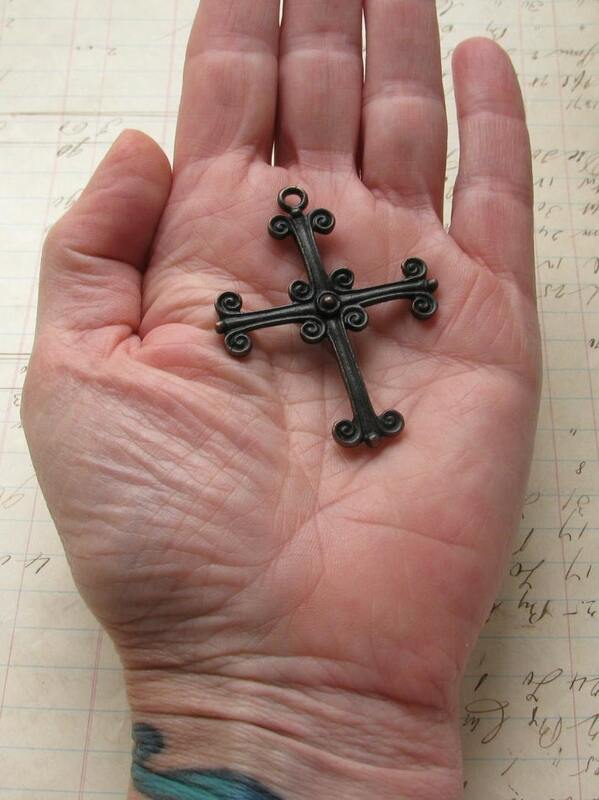 This is a lovely cross and is a good quality as are any of the items I have purchased from Fallen Angel Brass in the past.I have already made a necklace with it. Love it! Thank you for the professional service!